He bought his first car, a 1936 Ford Coupe, for five dollars at age 14. 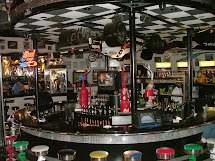 In 1957, he began drag racing the car on a dragstrip at an airport near Calgary. It took him five attempts to make a 60-mile-per-hour (97 km/h) pass; he took out non-essential pieces of the car such as the back seat to lighten the load. His reputation for repairing cars quickly grew and soon there were cars lined up for repairs behind his family's garage. He began drag racing in NHRA's Northwest division in a Chevrolet Z-11 in the B/Factory Experimental class in an front-ended machine that had 11-second passes at 115 miles per hour (185 km/h). Armstrong and a friend towed his dragster to Southern California for the February 1964 Winternationals. In January 1965, he moved to Southern California and began campaigning a Chevrolet II at local tracks since he could compete up to five nights per week. He converted the car into a Funny Car and began running the car in early 1966 using the nickname "The Canuck". The car appeared on the cover of Hot Rod Magazine in December 1966; the article in the magazine said "Even a diehard Chevy lover would have trouble telling just what had been the original vehicle". The supercharged engine achieved runs in the 8-second bracket with a top elapsed time (e.t.) of 8.89 seconds. In 1969 he drove a Chevrolet Camaro in the Super Stock class and he followed it up with making passes in Funny Cars "Travelin' Javelin" and Tom Strum's Swapper. Armstrong switched to the Injected Funny Car class in a 1973 Barracuda before moving to the new Pro Comp class in 1974. He joined Ken Veney's team and beat Veney in the finals of his first A/Fuel event at the Winternationals. He also won the AA/Altered U.S. Nationals for Jim Foust that season before moving to Pro Comp in 1975. While competing in Foust's Alcoholic BB/Funny Car, he won the Pro Comp championship including wins in the U.S. Nationals and Worlds. Armstrong continued racing in Pro Comp for three more years. During that time, he won eight more National events including the 1977 U.S. Nationals. In 1976, he won seven of nine IHRA Pro Comp National events and the championship. He moved to Funny Car in 1980 and 1981 and had three final-round loses. He used Mike Kase's Dodge Omni at the 1981 World Finals to set a national record with a 5.891 second pass to break Bernstein's 5.90 mark. During the 1981 season, he had two accidents. Armstrong described the fiery 240 mph crash of his Dodge Challenger at Columbus, Ohio: "Yeah, that was kind of a bad one," he said. "It told me it was time to get out of driving." After winning 12 National Hot Rod Association (NHRA) and 12 International Hot Rod Association (IHRA) events in the 1970s, including the Pro Comp title in 1975, he joined Kenny Bernstein's Funny Car team crew chief in 1982. The combination produced four consecutive national championships in Funny Car from 1985 to 1988. In 1989, Bernstein finished third in Funny Car before moving up into the Top Fuel class in the following season. 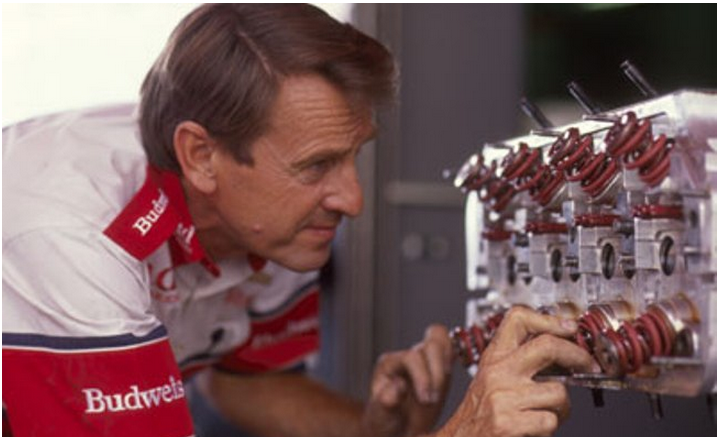 Armstrong continued as Bernstein's crew chief in Top Fuel, and the combination produced six wins in 1992 which tied a class record. In 1993, Wes Cerny developed a cylinder head / magneto combination that Armstrong tuned for the first 300 miles per hour run. At the Gator Nationals qualifying, Bernstein also set the record e.t. with a 4.823-second pass at 301.70 miles per hour (485.54 km/h) during qualifying for the Motorcraft Gatornationals in Gainesville. Armstrong said "Being the crew chief on the first car to run 300 means more to me than any national event win or any Winston championship. There isn't any question at all. People will forget what years we won the Winston championship, but they'll never forget when the first 300 was run and who did it." At the 1994 season-ending Winston Select Finals at Ponoma, Bernstein broke the 310 mph barrier with 311.85 and 314.46 passes. In 1996, Bernstein won the Winston Top Fuel championship. In doing so, he was the first driver to win Winston championships in Top Fuel and Funny Car. Armstrong became one of the few crew chiefs to win titles in both classes. Dale Armstrong, in the all red jacket, works his magic for Kenny Bernstein. Armstrong and Bernstein parted ways in 1997 after being together for 16 season; Bernstein had won 48 events and five championships with Armstrong. Armstrong joined Don Prudhomme's Miller Lite team at the end of that season. 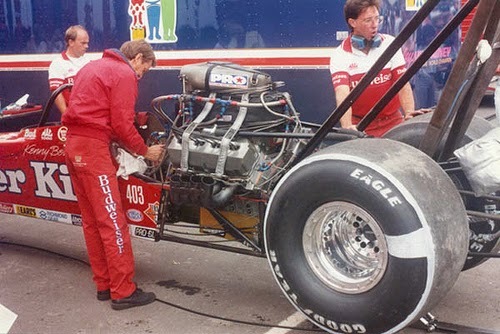 Larry Dixon drove Prudhomme's dragster on the first 4.4 second pass (4.486) at the Matco Tools SuperNationals. In 2000, Armstrong joined Jerry Toliver's World Wrestling team in Funny Car - the team led the Winston points in August before finishing third. Armstrong became the first chief to test Funny Cars in a wind tunnel. Other innovations included equipping dragsters with data recorders, installing a two-stage lockup-style clutch, and a fuel delivery system with two sources. He developed dynamometer testing for nitromethane. Some innovations later outlawed because they were too costly or too fast for the track included a three spark plug per cylinder magneto and a two-speed supercharger. Armstrong has been inducted in numerous halls of fame including the Canadian Motorsport Hall of Fame in 1995 and the Motorsports Hall of Fame of America in 2010. He was named eleven times to Car Craft magazine's All-Star Drag Racing team; he received their Ollie lifetime achievement award with Bernstein in 1997. In 2001, the NHRA ranked him tenth on their Top Fifty drag racers of all time. Dale Armstrong died on November 28, 2014 at his home in Temecula, California at the age of 73. He had sarcoidosis.